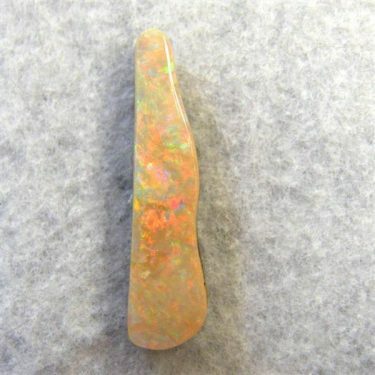 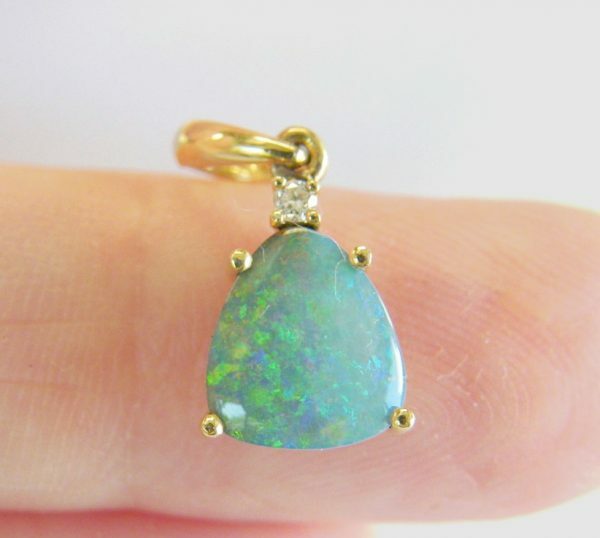 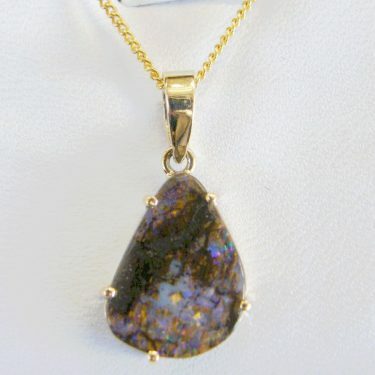 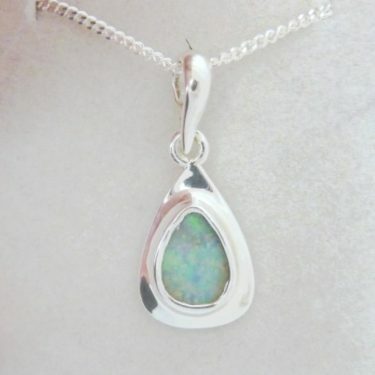 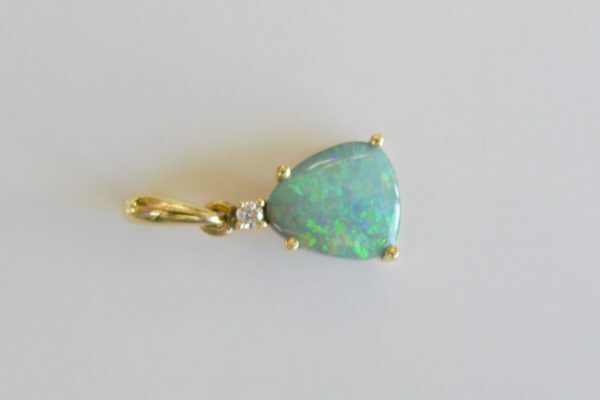 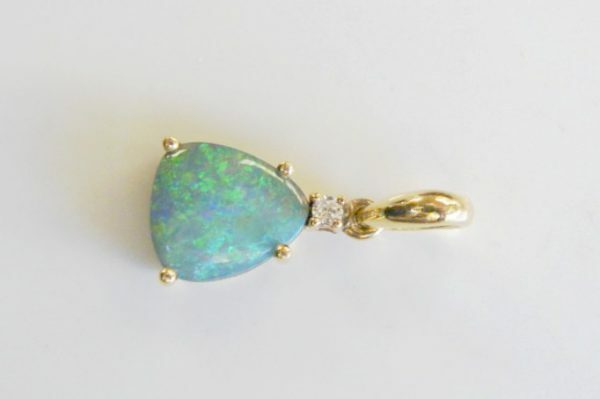 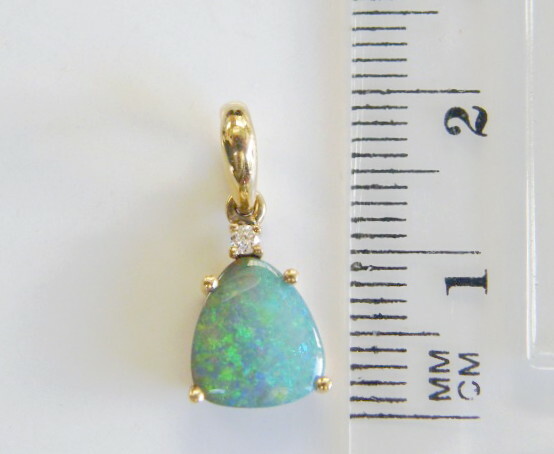 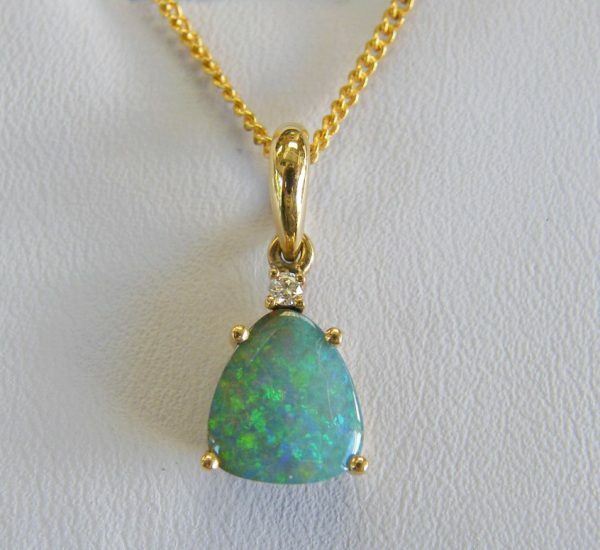 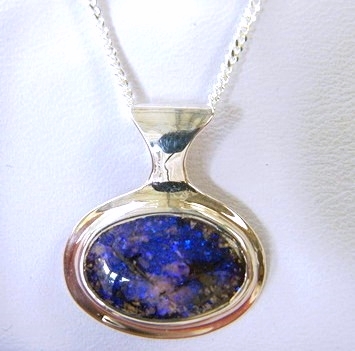 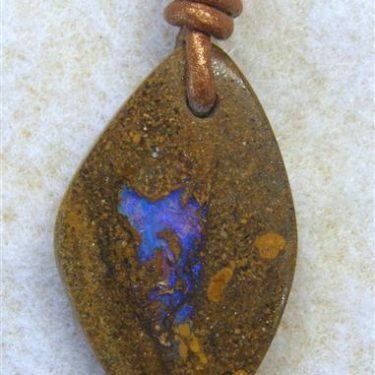 Set in solid 18k yellow gold is this sparkly natural Australian boulder opal from our mine in western Queensland. 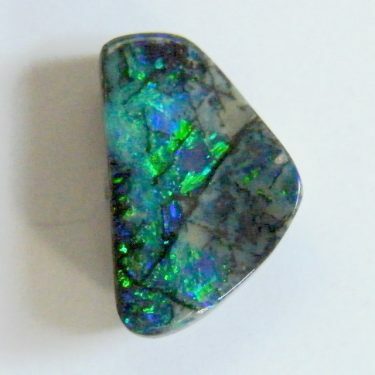 It is displaying bright green sparkles of colour. 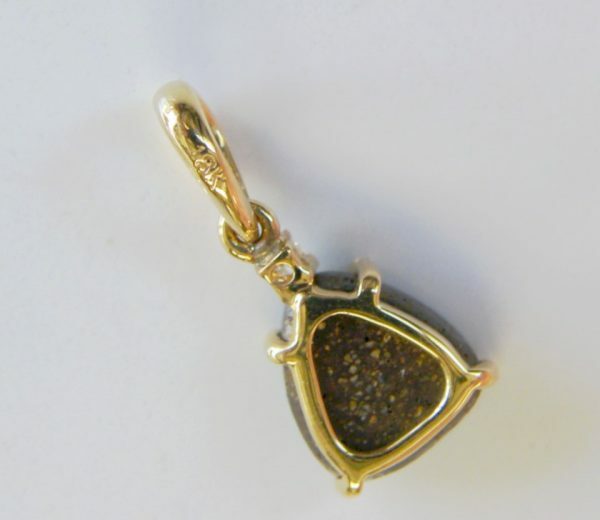 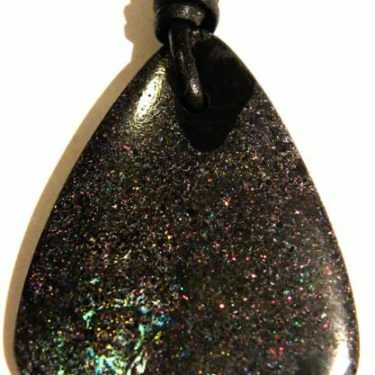 This pendant has a swinging bail and 0.026ct diamond. 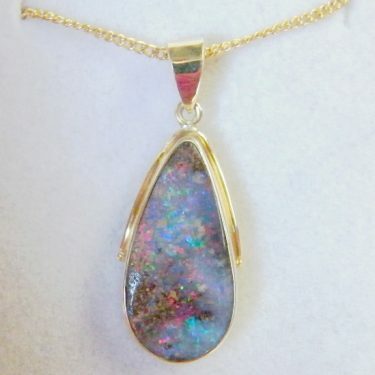 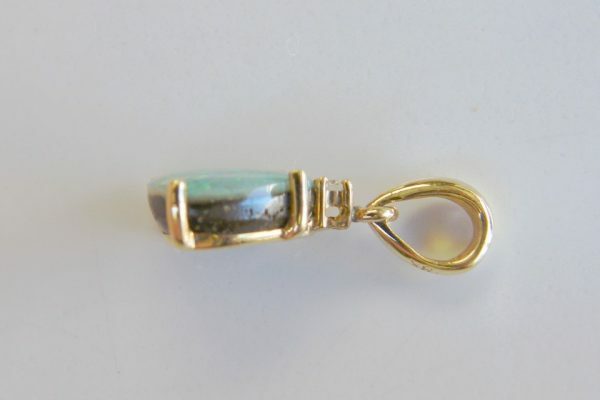 Comes with a hard gold plated on sterling silver chain.